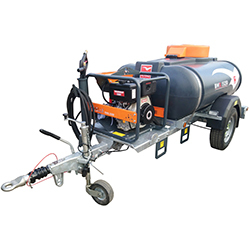 BRAND NEW heavy duty towable pressure washer comes with a 1125 litre water tank coupled to a 8.9hp Yanmar Electric-Start Diesel engine. 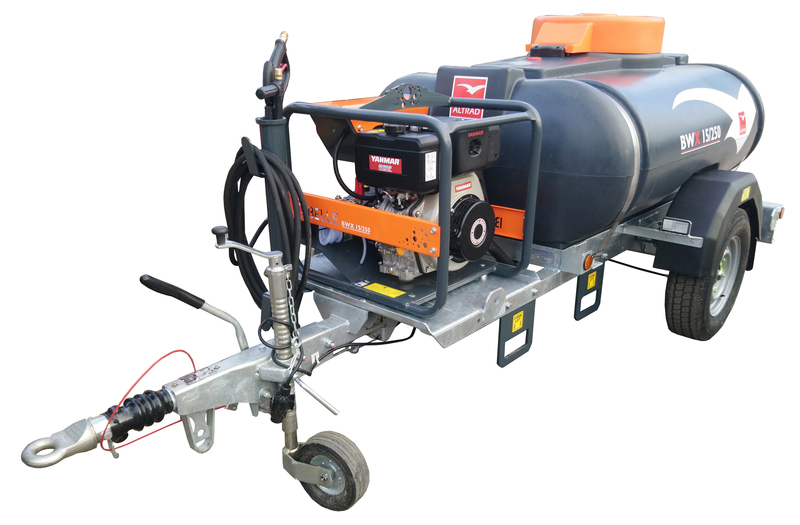 The robust chassis is made of 5mm hot dipped galvanised steel and is European whole Vehicle Type approved allowing for towing on public roads, making this ideal for a range of jobs. The washers design makes it well suited for remote and harder to reach areas. The HDPE water tank also includes an internal bafﬂe to prevent water surges whilst the machine is being towed. Ideal for the rental market! Robust T-Frame chassis fully Hot dipped galvanised, European whole Vehicle Type approved. 1125litre / 250gallon durable Polyethylene tank, with generous 550mm hinged lockable cover. Internal baffle, frost drain and filler strainer as standard. 2 x 175R13 8ply tyres c/w moulded mudguards. Knott-Avonride 200kg auto reverse braked coupling, fitted with either 40mm towing eye as standard or 50mm ball option to meet your requirements. Lance holder integrated into the trailer complete with hose storage hooks. Side / front reflectors, lighting equipment complete with 13-pin plug and 7-pin adaptor. Telescopic jockey Wheel / Jack. Forklift points for safe on-site transportation. Robust, compact full Engine and Pump protection frame. Professional Yanmar diesel engine with recoil and electric start as standard. Detergent / chemical feed- line com with with strainer filter. Professional two-wire, 10m braided hoses complete with quick-screw adaptors and swivel couplings.